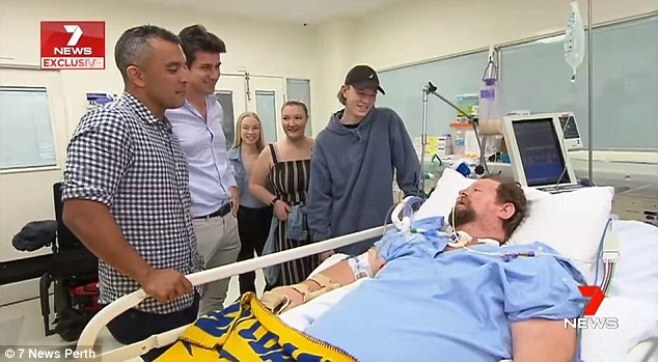 An Australian father-of-three is fighting for his life after being struck down with sudden paralysis following a vacation to Bali. When Craig Hardy returned to his home in Perth in June, he thought he was suffering from 'Bali belly', traveler's diarrhea and stomach pain suffered by tourists in Bali, Indonesia. The 52-year-old managed to drive himself to the hospital as he felt his condition worsening and his right side started feeling numb. By the time he reached Royal Perth Hospital, Hardy was completely paralyzed, unable to walk, speak, or breathe on his own. That's when doctors diagnosed him with Guillain-Barré syndrome (GBS), a rare disorder in which the immune system attacks your peripheral nervous system, paralyzing parts of or - in some cases - your whole body. Currently, Hardy can only move his head and neck a bit and physicians say it could take years before he makes a full recovery. Guillain-Barré syndrome is often preceded by an infectious illness such as a respiratory infection or the stomach flu. It's a rare syndrome, affecting about one in 100,000 people and fewer than 20,000 cases per year, according to the National Institute of Neurological Disorders and Stroke. After the first symptoms of Guillain-Barré syndrome, sufferers' conditions usually worsen for about two weeks before plateauing around the four-week mark. However, this has not been the case for Hardy, who has been hospitalized for the last three months. At the beginning of his stay, doctors told his wife Megan and his teenage children Aimee, Hayden and Tayla, that Hardy - whose nickname is 'Rock' - was in a coma. 'Rock's organs were shutting down, he was on a breathing machine and then they had to do a tracheotomy,' his sister-in-law Deborah Hardy told news.com.aus. 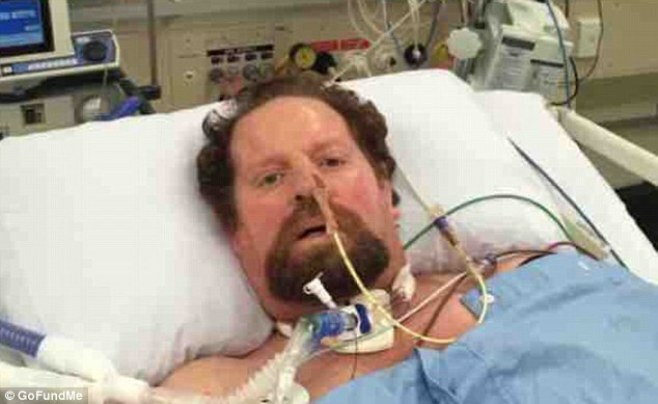 Although Hardy emerged from his coma, he still can't speak - but his family says he can move his head and neck a bit. He communicates by using a letter board and blinking to form sentences. 'He is completely cognizant and awake lying there but he's not able to move,' said Deborah, who is married to Hardy's brother Darren. Deborah also revealed that another symptom of GBS is that Hardy's lungs have begun collapsing, inducing the feeling as if he is drowning. 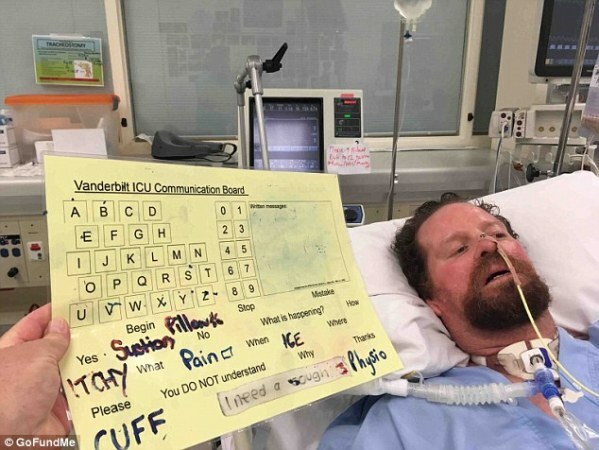 According to a GoFundMe page, a chest tube has been inserted to drain the fluid from his lungs and he also undergoes exercises that include holding his breath in hopes it can help his lungs start to breathe on their own. While there is no cure for GBS, there are treatments that can reduce the disease's severity and speed recovery such as Intravenous Immunoglobulin Therapy (IVIG). When you have GBS, the immune system produces harmful antibodies that attack the nerves. While Hardy's doctors are hopeful he will make a recovery, it could take as long as two years and he will have to undergo intense physical therapy and rehabilitation. 'He's a hard-working, dedicated family man,' said Deborah. So far, more than $10,000 has been raised out of a $100,000 goal.